This is an inspirational series of books based on different characters know collectively as the CAN DOs. WAS is a child who likes to win, but knows how to lose graciously. 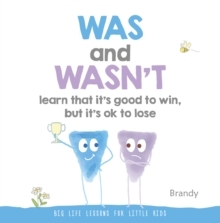 WASN'T is a child who also likes to win, but hates to lose.